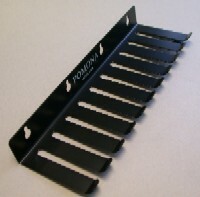 161041 - POMONA CABLE ORGANIZER. FOR 0.32" MAXIMUM DIAMETER CABLES. BLACK.